After all the complaints through Alpha 1 and 2, the update on Friday night provided the best result so far: Unity is working! 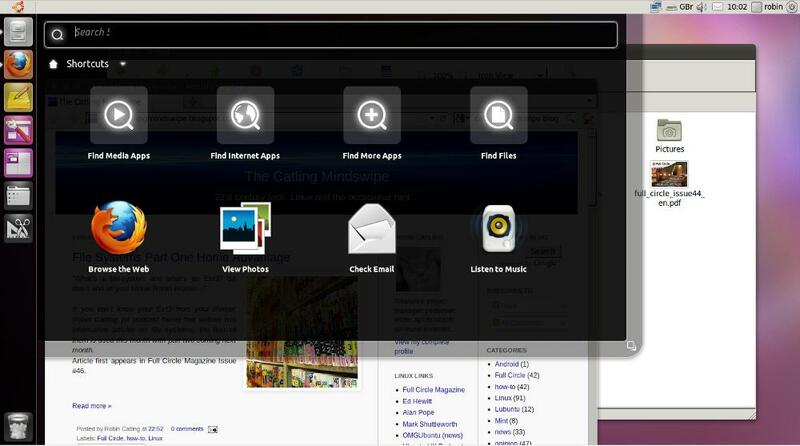 Canonical's go-it-alone user interface now works complete with dock auto-hide, application spaces panel and search panel. No strobing, no crashing, no doubling-up with Gnome desktop. This is in the virtual machine. I haven't updated yet on the Pentium-4 test box.